WWF is today asking potential investors, banks and construction companies not to invest in or lend to controversial hydropower dam Stiegler's Gorge, until a full Strategic Environmental Assessment has been carried out. WWF is today asking potential investors, banks and construction companies not to invest in or lend to controversial hydropower dam Stiegler's Gorge, until a full Strategic Environmental Assessment has been carried out. 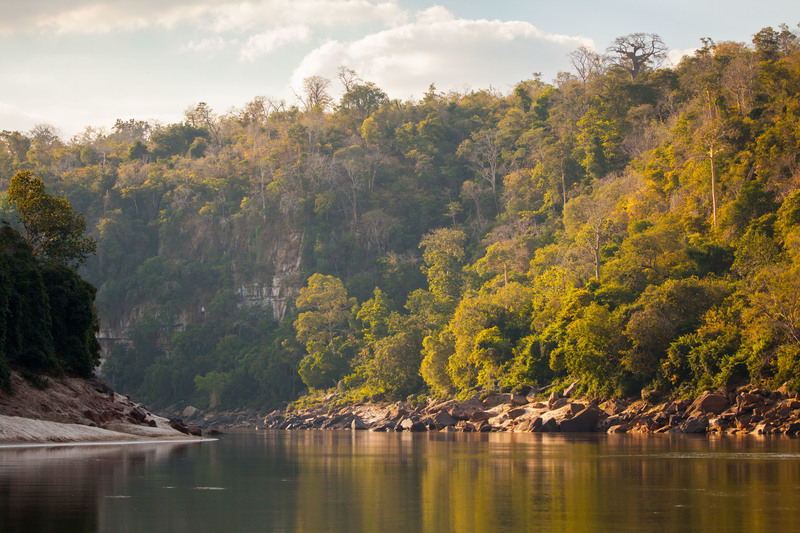 Proposed to be built at the heart of Selous Game Reserve, a UNESCO World Heritage Site in Tanzania, WWF wants the true impacts of the dam to first be assessed and the World Heritage Committee to give its approval. The proposed dam would endanger the livelihoods of 200,000 local people and the reserve’s rare wildlife, such as elephants and black rhinos, would be placed under even greater threat. WWF wants to ensure that investors, banks and construction companies are aware of these risks, as well as the opportunities around alternative renewable energy sources in Tanzania that don’t carry the negative consequences for the nature and the people who depend on this World Heritage site. WWF commissioned research on the impacts of the dam that highlighted the large risks to the ecology, economy and livelihoods. In the Selous Game Reserve, it will create one of the largest reservoirs in East Africa, flooding 1,200km2 including critical habitat for black rhinos. It will impact on current tourism in Selous as well as future potential tourism that the World Bank and German Government are investing in. Its impacts will stretch far downstream. The project is against Tanzanian law as no Strategic Environmental Assessment has been carried out in advance of the planning for the project and tender being issued. The risk has been recognised by UNESCO World Heritage Committee and its statutory advisor the IUCN who have highlighted “the high likelihood of serious and irreversible damage to the Outstanding Universal Value of the property resulting from the Stiegler’s Gorge Hydropower project” and have urged the Tanzania state party to abandon the project. In addition UNESCO World Heritage Committee has a position against dams with large reservoirs that harm World Heritage properties. The natural characteristics of the site on which this project is proposed will make it near impossible to satisfy best practice environmental due diligence standards on Hydroelectric from the International Finance Corporation, particularly in relation to mitigating impacts on indigenous persons, water, protected areas and endangered species. This leaves investors possibly exposed to grievance procedures brought by civil society through, for instance, the OECD Guidelines on Multinational Enterprises.